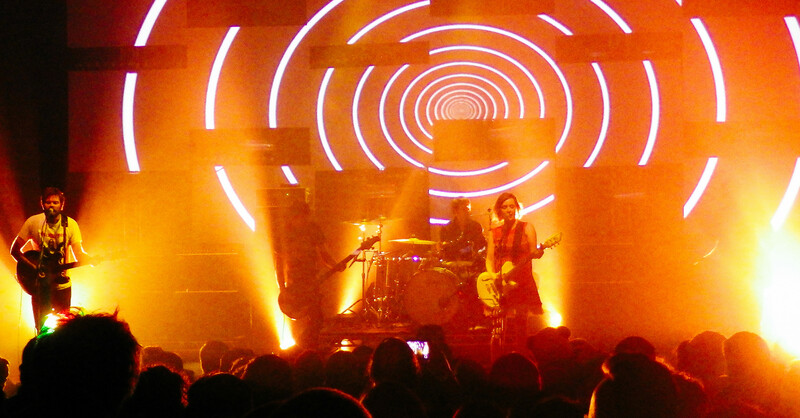 From big arena shows to small venues, New York has an incredible array of pop and rock music performances. From intimate spaces like Rockwood Music Hall through The Bell House and the Music Hall of Williamsburg onto Madison Square Garden, you can find indie rock, classic rock, alt, country, singer-songwriters, and everything in between on City Guide's activities listings. Known for their PBS specials, Under the Streetlamp brings together leading cast members of The Tony Award-winning sensation Jersey Boys and other Broadway Musicals to perform your favorite Doo-Wop, Motown, and ol' Time Rock & Roll hits! Under the Streetlamp is a concert celebration of classic hits of the American Radio Songbook from the 1950s-1970s. Their shows feature tight harmonies and slick dance moves that take audiences back to an era of sharkskin suits, flashy cars and martini shakers. A flashback to a time when, on hot summer nights, people would gather under a streetlamp to sing their favorite rock and roll songs. The interplay between Edmar and Gregoire on Harp vs. Harp is nearly telepathic. Edmar's Columbian roots combined with Gregoire's Afro-Swiss classic training makes for a totally exciting set of music! Doors to club will open at 7pm. 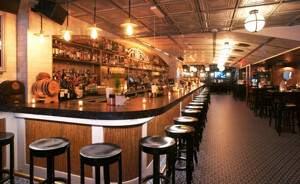 If you're coming to the show and would like to make a reservation, please call 212-255-4544. Let reservationist know that you are coming to the show. Lester Holt + The Rough Cuts Lester Holt and the Rough Cuts are a band like no other. This group is comprised of award winning journalists who all share a love ... to ROCK OUT. These hard rockers are driven by the powerful bass foundations of Newsman extraordinaire Lester Holt. Keeping the beat behind the kit is Chad Bergacs. The Rough Cuts have two guitarists driving the music- Justin Cece and Joe Andre. Julie Kim fills everything in by adding her talent on keyboard. Justin Balding keeps things interesting on woodwinds. And last but most certainly not least, there's the voice of the Rough Cuts- Irene Trullinger- a powerhouse that is at home belting out loud, rock notes or mellow, soulful tones. Eden Ben Zaken is an Israeli singer, who became famous when she took second place in the first season of the TV show "X Factor Israel." Her first album, Malkat Hashoshanim (Queen of the Roses), received a gold certification after selling more than 15,000 copies. Ben Zaken won the title "Singer of the year" in 2015, from several Israeli radio stations, the TV channel 24 and the popular internet site Mako. She won the title again in 2016 and 2017. The Park Playhouse production of Little Shop of Horrors Thurs, April 5 at 8pm Fri, April 6 at 8pm Sat, April 7 at 2pm & 8pm Sun, April 8 at 2pm Thurs, April 12 at 8pm Fri, April 13 at 8pm Sat, April 14 at 2pm & 8pm Sun, April 15 at 2pm Broadway's favorite doo-wop sci-fi musical comes to the Music Hall, featuring a cast of some of our most talented teen students. Meek & dejected floral shop employee Seymour Krelborn must contend with an unusual plant with a soulful singing voice and an unquenchable thirst for human blood in this hilarious take on B-Movies of the fifties. L.A. based, Belgrade born guitar-player and singer ANA POPOVIC is back on the road promoting her new triple album TRILOGY - Her most ambitious project yet. With TRILOGY Ana releases three albums in one! Twenty-three funk, rock/blues and jazz tunes produced by Grammy Award winner Warren Riker (Lauryn Hill, Carlos Santana), Grammy Award winner Tom Hambridge (Buddy Guy) and Delfeayo Marsalis, one of the top trombonists, composers and producers in jazz today. Guest appearances include Joe Bonamassa, Robert Randolph and many others. The only female guitarist part of the 'all-star' Experience Hendrix 2014 - '17 line-up about the release: "In an era where most are skeptic about the current state and future of the music industry, I wanted TRILOGY to tell a different story. The record biz might be broken and Spotify might rip us off, but that can't keep an artist down. Creativity is very much alive, and music is the celebration of life." Buy an EMF All Access Pass before Dec 31 and save 40%! You'll experience all 9 concerts for just $15 each and receive invitations to 3 Meet the Artist receptions. A New Sounds Live co-presentation hosted by WNYC's John Schaefer & streamed live on Q2 Music Some of the greatest voices in contemporary music come together! Julianna Barwick's ethereal, powerfully emotive voice paired with celebrated performers of early music ascends into a thrilling and truly ecstatic sonic world. Featuring premieres of new works by Barwick, Caleb Burhans, "New York's mohawked Mozart" (Time Out New York), and Caroline Shaw, the youngest ever winner of the Pulitzer Prize for Music. The three-member super-group ModernMedieval features former Anonymous 4 founder Jacqueline Horner-Kwiatek and Roomful of Teeth's Martha Cluver and Eliza Bagg. Queen V got her start playing the New York City club scene, with performances at venues such as CBGB and Don Hill's. Following the 2002 release of her EP, Critical, she and her band would embark on two high profile tours in 2003, opening for Twisted Sister and then Billy Idol. In 2005 the band won the WDHA Homegrown Spotlight Battle of the Bands which led to daily play on the station and a spot opening for Twisted Sister and Sebastian Bach at Rock The Park. The band would go on to win a number of other competitions including an XM Radio contest that earned them a spot opening for Bon Jovi at the Meadowlands and a 2013 Ernie Ball Battle of the Bands that awarded the group the opening spot at the Jones Beach stop of the Uproar Festival, playing alongside Jane's Addiction, Alice in Chains and others. Here Come the Mummies is an eight-piece funk-rock band of 5000 year-old Egyptian Mummies with a one-track mind. Their "Terrifying Funk from Beyond the Grave" is sure to get you into them (and possibly vice versa). Since their discovery, HCTM has opened for P-Funk, Al Green, and Cheap Trick; rocked Super Bowl Village; become a regular on The Bob and Tom Show; played massive festivals like Summer Camp, Common Ground, Voodoo Fest, Musikfest, Summerfest, and Riverbend; and sold tickets by the thousands across large swaths of North America. Maybe that's why the ladies (and some dudes) can't stop losing their minds over these mayhem-inducing mavens of mirth. Some say they were cursed after deflowering a great Pharaoh's daughter. Others claim they are reincarnated Grammy-Winning studio musicians. Regardless, HCTM's mysterious personas, cunning song-craft, and unrelenting live show will bend your brain, and melt your face. Get ready, for Here Come The Mummies. Martin Lawrence is bringing his Lit AF Tour to Brooklyn with special guests Adele Givens, JB Smoove, Deon Cole and Benji Brown. Using engaging musical arrangements and a wide range of instruments and music technology, The Hook Club stretches the boundaries of live music into experiences that delight crowds for hours on end. Made up of some of the top young musicians in NYC, our unique approach to party music creates a sound unlike anything you've heard before. Visit our site www.thehookclub.band to watch our videos, and make sure to come out and dance with us! LYNDA CARTER returns to The Appel Room with a brand new show. "Red, Rock 'n Blues" will rock New York for two nights on April 20th and 21st. You won't want to miss Lynda and her All-Star band performing songs from her new CD, including her distinctive stylings of rock, blues, standards, country, jazz and original tunes. It's always a party with Lynda and the band. Get your tickets now for "Red, Rock 'n Blues" and rock the night away. They've become one of Brooklyn's freshest exports - nine charismatic men and women brightly outfitted to have their colorful nature match their expressive voice. Turkuaz is a rock band at its core that blends soulful sounds with potent funk grooves. Since hitting the road in 2012, Turkuaz have released a handful of albums, canvassed the US more times over, and continue to gather devoted listeners along the way. A quickly addictive pulse coupled with a reputation for their trademark "Powerfunk" sound has earned steadily growing attention across the nation. Just over the past two years, the band has made impactful appearances at Bonnaroo, Red Rocks, Lock'n, Mountain Jam, and have been filling rooms coast to coast from Terminal 5 in New York to The Fillmore in San Francisco. Drawing from the conventions that have ignited their existence and using that spark to forge its own sword, Turkuaz is a band that will make anyone move to their familiar beat, yet stay intrigued by an ability to explore its own complex character comprised of nine striking personalities.